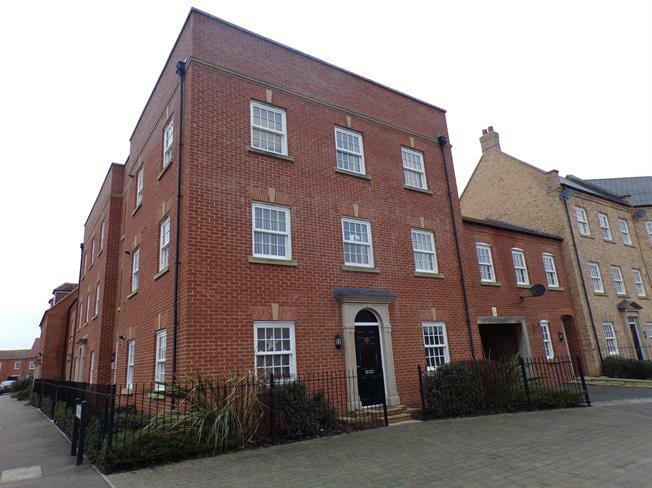 2 Bedroom Maisonette For Sale in Bedford for Asking Price £185,000. A very well presented ground floor maisonette in the popular Great Denham area of Biddenham. The property is available with the added bonus of no upper chain and is an ideal first time buy or investment. Benefits include double glazed sash windows, gas to radiator heating and a fitted kitchen. There are two double bedrooms, a fitted bathroom and also offers an allocated parking space for one car at the rear of the block. Double glazed uPVC sash window facing the front and side. Radiator. Arch to kitchen. Double glazed uPVC sash window facing the side. Roll edge work surface, built-in units, single sink, integrated oven, gas hob. Double glazed uPVC sash window facing the front. Radiator. Double glazed sash window to rear. Radiator. Radiator. Low level WC, panelled bath, shower over bath, pedestal sink. Allocated parking space at the rear of the block.